Say hello to variable fonts — simpler, more efficient typography that looks better on any screen. The type community is already all over this one, but should a web designer or web copywriter be that excited about typeface? As creative content providers for responsive web design, absolutely! 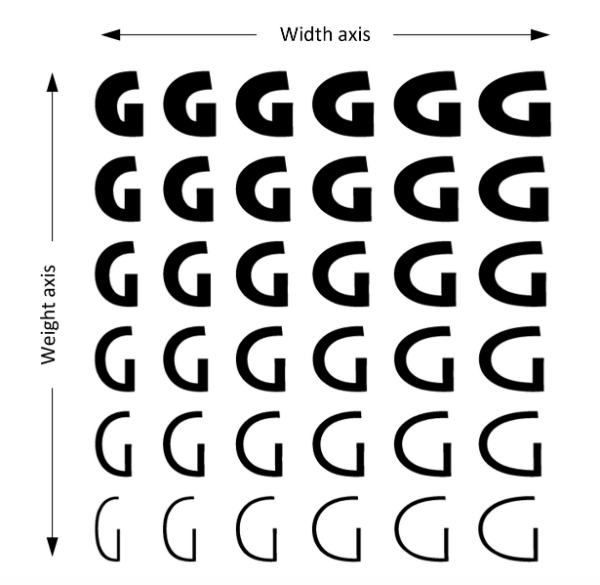 Variable fonts are not a new idea; some of you may remember the short-lived Adobe Multiple Master and Apple TrueType GX fonts from the 1990s, early attempts at sparking a typeface revolution that didn’t quite catch fire. 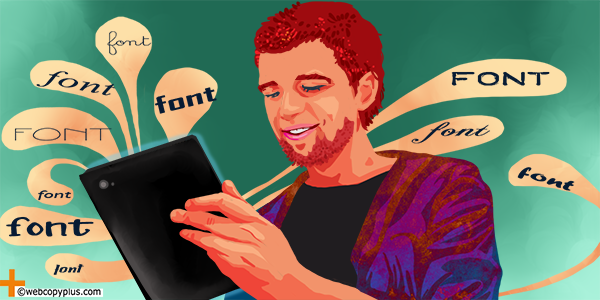 What’s new and exciting is unprecedented buy-in and concerted development support from “the big four” of digital typography — Adobe, Microsoft, Apple and Google — for the latest, most powerful expression of variable fonts yet: OpenType 1.8. How powerful is this thing? A variable font is an entire font family packaged in a single file, instead of having a different file for every font style. It manages this by defining a “style range” within a font family, specified by things like weight or height, to create a potentially infinite continuum of style options within one file. This can be done with just about any design parameters, to create the ideal style for any device, application, or use with faster renders and page loads. And we’re talking, eventually, about complete scalability — cross-platform font consistency; dynamically adaptive fonts for different backgrounds; automatically resizing text according to phone orientation. Totally scalable, responsive design now seems within reach, but isn’t quite here yet. Nick Sherman, A List Apart, offers his take on solutions to a few challenges — including spec implementation into actual shipped products; the potential need for significantly increased processing power for all that real-time rendering; even, pragmatically, selection of existing fonts that are more suited to this new variable font tech than others. Do we buy it? Big picture: Yes, we do. Do you? What potential pros or pitfalls do you see from the adoption of variable fonts? 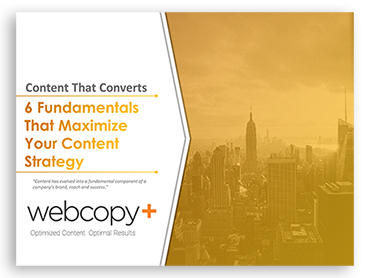 Let us know what you think below, or to see how a web copywriter can help optimize your website in this increasingly responsive digital world, contact us. This is pretty cool! It’ll allow designers to focus on more strategic elements of design.